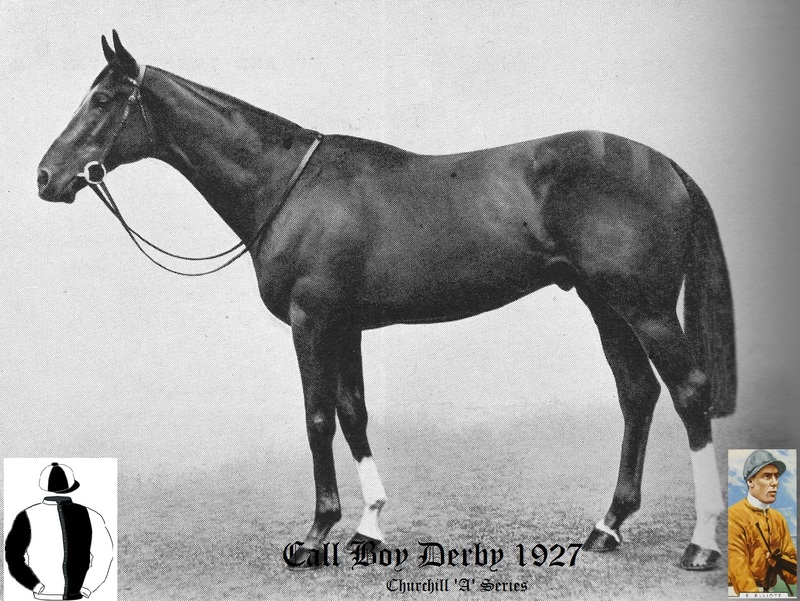 This was run on Wednesday 1st June 1927 and the winner was bred by Mr Frank Curzon and trained by John E.Watts at Newmarket. There were 23 runners from an initial entry of 344. The winner won by 2 lengths with 8 lengths between second and third. The winners time was 2 mins 34.4 secs. The winner won a first prize of £12,615, (The equivalent of £753,400 in today's terms based on Bank of England inflation calculator). Very grateful to Kevin Steads who found this article from the Sheffield Star of 30th May 1927 on a building site and rescued it. The badge is actually for the old Derby Racecourse, rather than the Epsom Derby course. Despite being ridden by Gordon Richards, Chichester Cross did start in the Derby but was unfancied at 100/1 and was unplaced.